They say that no other place in Greece can boast beaches like those of Halkidiki. Still, the region stands for far more than beaches. Halkidiki is the perfect combination of the reviving Mediterranean light, the unspoiled land, the lively communities and a glorious past to explore. Add the local gastronomy, the religious traditions, the openness and hospitality of the people, the wide range of activities and lifestyles; flavor with the soothing scent of the pine-trees and there you are! -the already desirable has turned to the simply irresistible. Halkidiki is literally sculpted by nature forces to balance earth and sea. Three peninsulas, fjord-like bays with emerald beaches and coves, imposing mountains -the stage for thriving life and civilizations in every form -like the thousand- year old monastic state of Mt. Athos, a unique World Heritage Site! 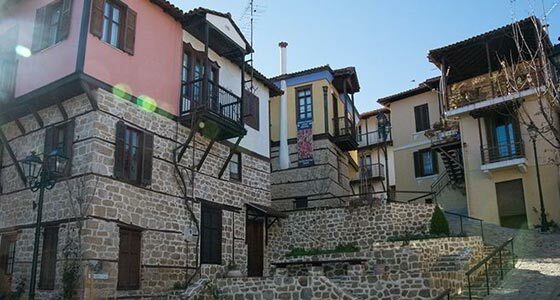 Arnea, one of the most picturesque villages of north Halkidiki, is located just 3km away of its settlement, where wrecks of civilization – which many connect with the ancient city ‘Arne’ referred by the Historical Thoukididis – were located. On the hill of prophet Elias, was located the acropolis and parts of the wall. 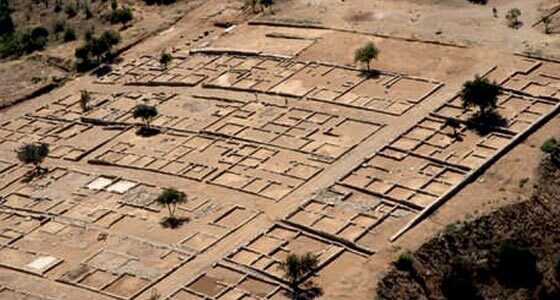 Ancient Olynthus, the first scientific excavation of prehistoric city. You will be amazed by the technique of the irrigating and sewage system, the marquetry finding and also the first street plan of the world. 300m higher than Neos Marmaras village, you will find the village that was abandoned in 1970 from its inhabitants because of the difficult living. The place is famous for the inconceivable view and its walking routes of natural beauty. 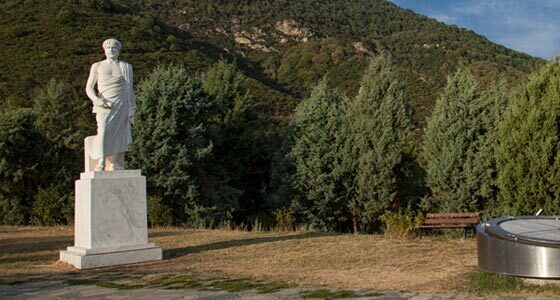 Aristotle’s Park Ancient Stagira is one more station – birthplace of the greatest Greek philosopher Aristotelis – that was rebuilt from Phillip the second, to honor him as teacher of his son Alexander the Great. The statue of Aristotelis and many ancient towers are situated at the west part of the village. 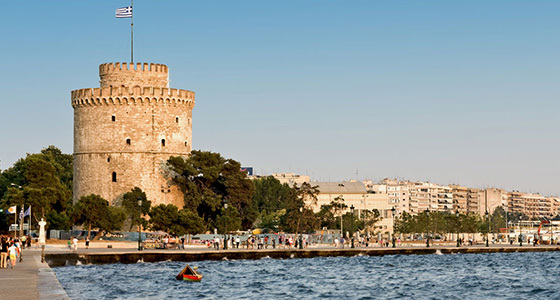 Sightseeing & shopping In Thessaloniki, the biggest city of northern Greece. Close to the sea, you can admire the White Tower, built in the 15th century A.C., and some kilometers away you can visit the Archeological museum with the valuable treasures of Vergina from the era of Alexander the Great and the ancient market which is situated at the center of the city. Petralona cave excursion: The unique Cave of Petralova with the numerous stalactites and stalagmites is the first sight you must visit. It is the most important cave with paleontological interest. 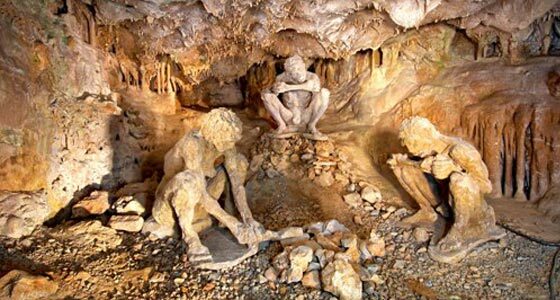 Here was discovered the human skeleton of 700.000 years age which indicates that the first human who lived in Greece and in Europe has lived in Halkidiki. 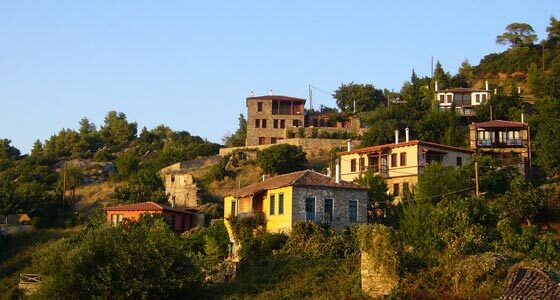 Pella – Vergina excursion: Pella is waiting for you only a few kilometers away from Thessaloniki. It used to be the capital of Ancient Macedonia from the end of the 5th century B.C. until the start of 4th century B.C. There you can see important findings such as: the head of Alexander the Great chiseled on marble, the Macedonian tombs, tessellated pavements, treasures of silver coins, chamber pots etc. 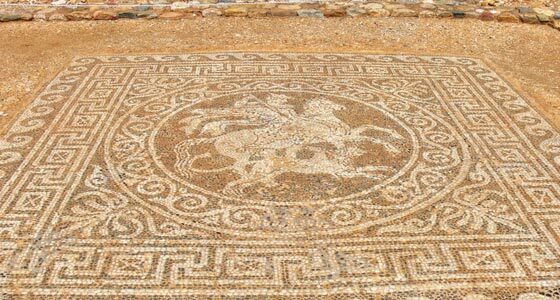 Vergina is a sight of world-wide cultural value, and a visit at the area will travel you to the era of Alexander the Great. Visit the royal graves among them the grave of Philip II, the palace of the ancient capital city, the theatre and the cemetery of the tombs, the imposing necropolis of the 11th to 8th century B.C. 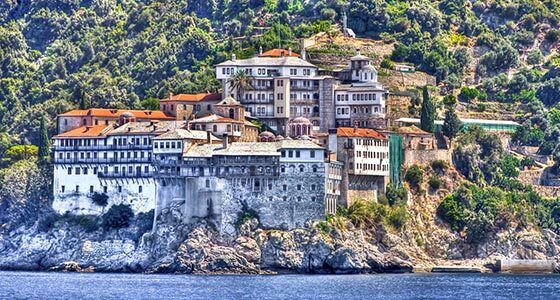 Cruise to the Monastic community of Mount Athos. An UNESCO world heritage site, which is home to 20 Eastern Orthodox Monasteries. A luxury cruise ship departs daily from Ormos Panagias and make sthe round of Agio Oros peninsula, and Ouranoupolis village. A unique project for global data of religious and historical character, namely the presentation of all the monasteries of Mount Athos and several Holy Cloisters-Cells through a 360 degrees Virtual Tour. The aim of this project is the creation of a global historical documentary that will remain unchanged over time. This is done by creating a site, the mountathos360.com, through which there will be free access (without a fee) to all internet users who will be able in this way to “visit” the Holy Mountain. 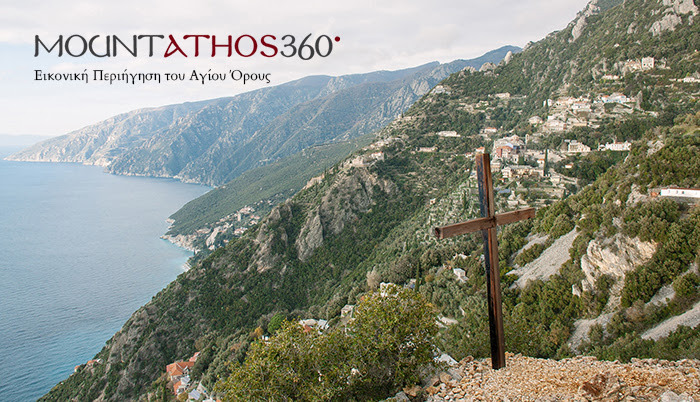 Visit the MOUNT ATHOS 360 webpage.